Welcome to Little Lions Preschool. We are thrilled to join you in the exciting learning experiences ahead! At Little Lions Preschool, we not only play together, we also pray together! While we believe our children need a sound academic beginning, we also know that they are learning and growing everyday socially and emotionally. With that in mind, our academic curriculum is intertwined with opportunities for your child to learn in a Christian environment. Our skilled long-term staff have the drive and dedication needed to provide a quality program to each child every day. Each teacher is passionate about teaching social skills and behavior through a Christian environment. We are not just preparing your child to be successfully navigate Kindergarten, we are preparing them for life. A variety of full and part-day programs are available during the academic school year. 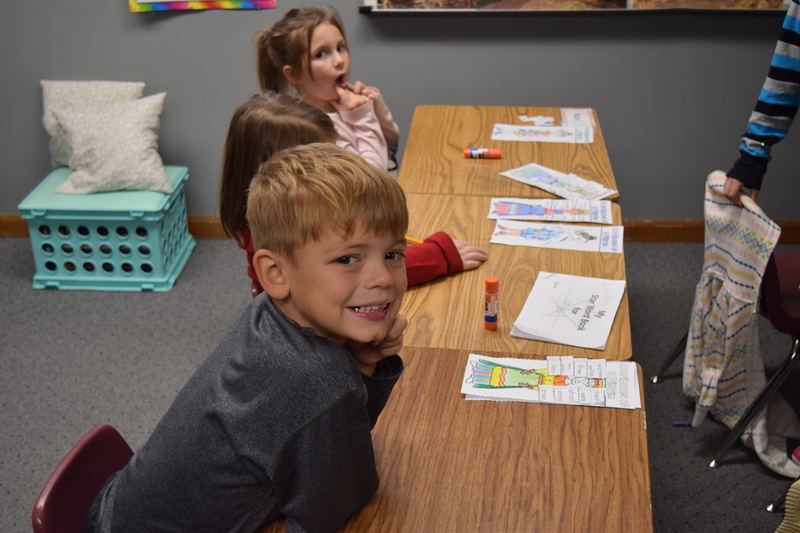 The academic curriculum at Plaza Heights Christian Academy Preschool includes the A Beka Christian Curriculum. The A Beka curriculum is an accelerated Christian curriculum that has had continued success in the area of Christian education for many years. It is designed to lay an early foundation of learning for young children. We believe that introducing basic academics in a well-structured preschool program setting helps make the transition to kindergarten much easier on the child as well as the parent. Academics include Bible, letters and numbers, concepts, rhyming, matching and comparing, science, music and library. More details of concepts taught are covered in the Little Lions Preschool Handbook. Thank you for applying to Plaza Heights Christian Academy Little Lions Preschool. Please send a copy of the child’s State Certified Birth Certificate and up-to-date Immunization Records to the school office after completion of this form. If "Other", please describe. Also if you selected "Friend", please indicate their name here. I understand that special trips are planned for the children away from the school throughout the year. I am aware that they will be carefully arranged and supervised by an adequate number of adults. I give my permission for my child to go on these scheduled field trips and be transported by school bus or parent vehicle. Permission for my child to be photographed for purposes of display in, but not limited to, the following: school publications, newspapers, bulletin boards, yearbook, and the PHCA website, Facebook page and other social media.